The perfect way to add a PCI-E x1 card to a low-profile HTPC case where the PCI Express card has to be parallel to the motherboard. This flexible PCI-E x1 riser card allows you to install a PCI Express expansion card parallel to the motherboard in a slimline PC case where space is restricted. It's an ideal solution if you want to add a TV tuner or a sound card to the system, for example. 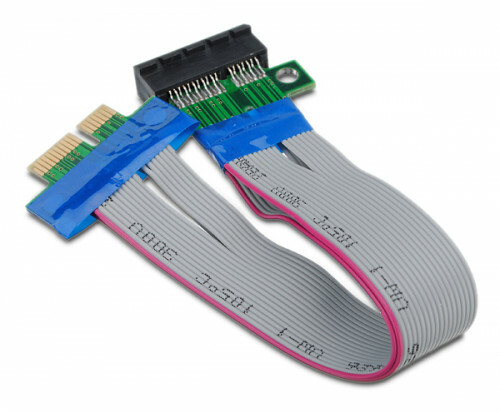 One end of the cable plugs directly into the motherboard and the other attaches to the horizontally-mounted PCI Express card.